Since the Contours had broken through with Do You Love Me back in June of 1962, their careers had hit an unmistakeable downward slope. Things are bad enough at first glance, when you realise this was their first single since Can You Do It nine months earlier, and that that in turn had been their first single for eight months, meaning they’d managed to put out just one 45 in a time span of a year and a half. Not good, when you consider the Contours were once one of the label’s headline acts. But behind the scenes, it was even worse. Dwindling sales, arguments over live appearance fees and problems with tour scheduling had led to bickering and feuding, both between the group and Motown, and between members of the group themselves. The Contours eventually put their differences aside and presented Motown with a united front, demanding changes be made or they would walk – only for lead singer Billy Gordon to change his mind and accept an individual deal, meaning the rest of the line-up were toast. Of course, Berry Gordy wasn’t about to let a bankable name like the Contours just wither on the vine. He encouraged Gordon to put together a new line-up of “Contours”, reasoning that so long as Gordon was still there – the lead singer from Do You Love Me – then the audiences wouldn’t notice much of a difference. By the time the new group reconvened in the studio in October, Sylvester Potts had been convinced to come back, providing a sense of continuity amidst all the upheaval. Another thing providing a sense of continuity is that this song is almost exactly the same as several other Contours singles they’d already released. It’s a riff on the exact same loud shouty dance number they’d been peddling since Do You Love Me, with a couple of notes changed. If you fed “average early Contours record” into a giant music-making computer, it would probably spit out Can You Jerk Like Me. In fact, it already had, on at least three previous occasions; this is essentially a retread of You Better Get In Line, Don’t Let Her Be Your Baby and Can You Do It, all mashed together in a big bowl. Nothing about this suggests the record should be any good. Not for the first time, Motown were jumping on a bandwagon; this time, it was weird stand-still wave-your-arms dance craze the Jerk. 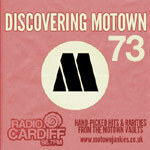 Berry Gordy had already been beaten to the punch by the Larks, whose sweet, syncopated Do The Jerk – although not the actual source of the dance, as it’s often so called – was released before Motown could finish cutting their own Jerk record. Not to be outdone, Gordy commissioned not one but two different Jerk singles, both louder and harder than the Larks’ gentle, clipped outing. This is one of them. What’s it like? Well, now you’re asking. In the time I’ve been doing this blog, I’ve covered some 511 tracks to date (yes, 511 – Wade Jones‘ two sides of Motown apocrypha were numbered 0 and 00), and with the possible exception of the Monitors’ Hello Love, almost none of them have had me changing my mind so wildly as this one. Every time I sit down to write about it, I form a different opinion. So, I’m going to split the difference, even if it means I end up marking this down as average, which is rather unfair as this record is never average; it either strikes me as great fun or tedious workout, but since I can never predict how it’s going to affect me today, well, it’s not fair to recommend it or to pan it. All I can say is that I’ve given it many, many listens and I still don’t know what to make of it, or where it fits into the Contours’ story. Your mileage may vary. Mine certainly does. I agree with your grade and with John’s assessment as a ‘guilty pleasure.’ This is no Motown landmark, but it is energetic and fun. Getting an original issue Gordy 7037 wouldn’t happen till October 30, 1977. (I’ve tried to be mindful for decades to write the purchase date of new records somewhere on the sleeve.) Then, whether or not I needed further evidence of what a wizard Smokey Robinson was, it was in my hands, and I only had to turn it over…. Like you, I got a pleasant surprise when playing the flipside. Totally agree with Steve D’s verdict of this song. Like most records that are built around a dance craze, it was good for the moment, but after the fad has gone, future generations don’t understand and past generations consider it played out. With that said, this is a strong track, The Contours bring their trademark loud energy and the Funk Brothers bring their Funk, yet this track seems to go nowhere because it’s part of a fad. Is it me or does “Cool Jerk” sound like a rip-off of this song??? More a reworking than a rip-off, really; it’s generally acknowledged “Cool Jerk” was played by the Funk Brothers (moonlighting on another label to make some extra scratch), and it’s pretty much the exact same backing track, although the same writers aren’t credited. Strange that Motown wouldn’t notice, given how trigger-happy their attorneys could be when they got a sniff of copyright infringement. Exactly…I would have thought a lawsuit for “Cool Jerk” was right down Motown’s alley, but learning that the Funk Brothers played on the track (thanx for the info Steve D.) I can see why it wasn’t pursued. I just heard the Contours’ song for the first time. I’d vote for “Cool Jerk” as more of a re-working of this one (as opposed to a rip off). If forced to choose between the 2 songs I’d choose “Cool JerK’. I like the vocals/arrangement better. Wow Nix, I learn something new everyday. Didn’t realize the Funk Bros were playing on “Cool JerK”. What did those cats NOT play on? LOL!!!!! By the way, I’m not dissing the Contours in the least. They were cool too! Can’t wait for “First I Look At the Purse”! yeah “Cool Jerk” came out on the old Karen label out of Detroit produced by Ollie Mclaughlin, 1966. “Can You Jerk Like Me” did nothing for me. But turn the record over and therein lies the magic! When this one hit the R&B radio stations in NYC, the legendary (here and in Philly) DJ Jocko Henderson chose it as the opening song on his show each night for at least three straight weeks! What Billy Gordon sang about the Jerk is also true for for this recording. To fully appreciate it, “All you need is soul.” And as I’ve commented about past songs of this type, either you got it or you ain’t. Senior moment alert: Billy’s quote was, “All it takes is soul.” Otherwise, my point remains unaltered. And as long as I’m back, the most outstanding instrument in the band? The piano; what a groove. If I live to be 100+ I will never grow tired of this one and waking up the neighbors to it.